Betrayal is a common theme in Ni No Kuni II: Revenant Kingdom. We first meet our young king protagonist as he desperately flees a coup organised by one of the chief retainers of his father. A few hours later, our team of intrepid heroes prove their goodness by rescuing a town whose citizenry have been betrayed by the deceit of their leader… and we soon discover that that deceit was a result of the ruler being deceived himself. On the flip side of the coin, over and over again, characters demonstrate goodness by showing loyalty. The gruff sky pirate is a “good leader” because he’s willing to put the needs of his people ahead of the life of his daughter, who is currently imprisoned by dragon-like people that fully intend on killing her. Later, our king decides to start up a new nation, rather than try and deal directly with the dastardly monster that lead the coup against him, and it’s a nation that’s founded on the principles of loyalty and trust. Ni No Kuni 2 has a very different tone to its predecessor – a JRPG masterpiece on the PlayStation 3 that told a beautiful, sweet, and heart-rending story about a boy coming to grips with the death of his mother by participating in an epic adventure on a different world under the auspice of being able to save his mother. 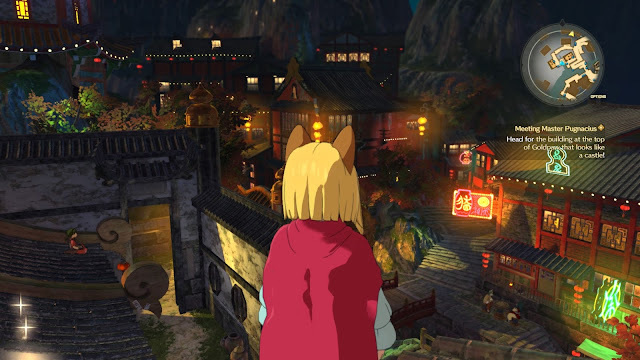 That game, made with the full involvement of Studio Ghibli, the animation house that gave us Spirited Away, My Neighbour Totoro, Kiki’s Delivery Service, and others, made me cry. It had its flaws, including an entire final chapter that was unnecessary and superficial, but the core of that game was emotionally dense and everything around it seemed to be structured to support the game’s core themes and storytelling. Ni No Kuni 2, meanwhile, didn’t manage to make me cry. Perhaps it’s because Studio Ghibli wasn’t involved in this one. The game itself feels a little derivative at times, with a soundtrack that’s a little too eager to remind players of how good the first game was, and forced little nods here and there to the heritage of the first game. A statue will look like a familiar character from the first game. A similar style of villain shows up. Just like in the first you make friends with a fairy-like being, but this fellow – Lofty – has none of the same characterisation that made Drippy from the first so enjoyable. 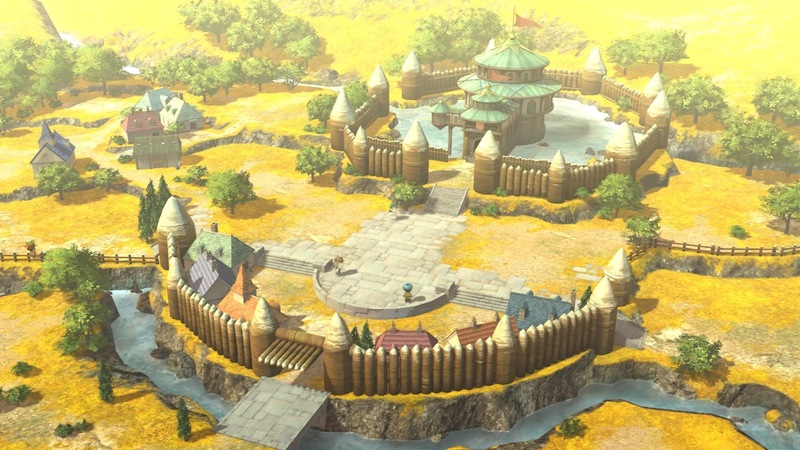 The idea that the catalyst of the adventure is when a person from the “real world” is drawn, Narnia-like, into the “fantasy world” persists, but the developer did far less to make something out of it; where the original Ni No Kuni had an extended storytelling sequence explaining the death of the boy’s mother, this game kicks off with a short cut scene in which the president of the United States is travelling into a city when a missile attack levels it, and the now seemingly dead president then appears in the fantasy realm. Too often Ni No Kuni 2 recognises the elements that made the narrative of the original so powerful, and then replicates those elements with a derivative, even arbitrary, shadow of its own. Those derivative notes, coupled with the more abstract core themes (loyalty as moral virtue vs a boy grieving for his dead mother), make for a game that simply isn’t as touching as its predecessor. It is still a beautiful, entertaining, rich and vibrant experience, and it improves on its predecessor in several core areas, but a story exploring the virtues of leadership is simply never going to resonate as well as a dramatic coming of age story. The latter is personable and sincere. The former is comparatively dry. At least it’s a positive message about leadership and loyalty, however. As the party of heroes are effectively refugees building a refugee kingdom, again and again they prove that they’re more than willing to take people in from all corners. At a time where more and more stories are espousing the values of closed borders and a distrust for those outside (to fit with an tragically going attitude among people in the real world), it’s quite refreshing to have here a good-natured story in which, despite all the betrayal, people are more than capable to trust others enough to get some real nation building going. 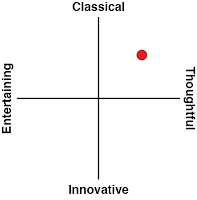 It’s a positive message that is more intellectually resonant than emotionally, but it’s one that I appreciated in the game regardless. Ni No Kuni 2 doesn’t deviate too far from the JRPG norm as far as structure goes. The team of heroes visits a town or city, resolves a problem that the population is facing, generally by travelling to some dungeon-like environment and defeating one or multiple bosses, getting the rewards from such heroism and moving on to the next town. Thankfully, all of this is a joy to actually do. The cities all exhibit wonderful creativity and are a delight to explore. What’s more, unlike many other modern JRPGs, you can talk to every citizen you come across. They’ll only have one or two things to say, but the combined patchwork helps create a wonderful sense of place and culture, where most JRPGs now limit you to chatting to a tiny few people, making cities feel empty, for all the people they render milling around. One significant difference, however, is that as the king of a city, you’ll also get to manage its development. This plays out like a light simulation game (or a mobile city builder without microtransactions); you’ll place buildings around, use resources to level them up so they offer a greater effect, and eventually increase the size of your town. You’ll have to recruit experts to manage these buildings, and the better the experts that you have at work, the greater the results. Manage the city well, and you’ll have all kinds of wonderful resources pulling in to make your adventure that much easier. Simple as it is, I like this city builder. Not only does it provide a comfortable base to return to between story quests, but helps make you feel real ownership over your little corner of the world; watching it develop over time makes it an active character in the adventure. One you almost have more control over than the development of the characters themselves. And, because you’re a king, you also need to protect your kingdom with your armies. This is the best new feature in Ni No Kuni 2 that elevates over its predecessor, and plays out like very simple strategy games. You recruit a number of units to your side, and then on the battlefield manoeuvre them around so that you can pitch units with a particular strength against the right enemies, before taking on the powerful boss unit with all the resources you have left. Along the way you’ll be attacked from all sides and behind, and you’ll need to be able to think quickly on your feet in order to overcome what is generally far superior numbers on the enemy’s side. I really love this whole system; it’s super light strategy, but it provides a complete break from the main quest and the standard combat, and coupled with the kingdom building elements, really help to leave the impression that this game is about far more than the standard JRPG adventure. 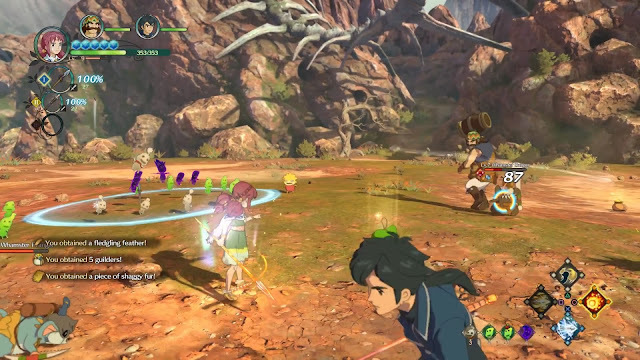 The combat system from the “JRPG side” of the game was a concern for many people with Ni No Kuni 2, once the news broke that it was being changed completely from the Pokemon-like monster collecting and training system of the first. Instead, Ni No Kuni 2’s combat system is active and pacey; you’ve got direct control over the heroes and need to mix up weak, strong, and special attacks, while also stepping back to fire off some ranged attacks from time to time. There’s block and dodge moves too, to help your character avoid danger. People were concerned that the move away from the more sedate, cerebral combat system would change the tone of the game completely. The concerns about the combat system are unfounded though, and battles play out like a dream. While the combat can appear fast, it’s actually highly strategic. In addition to all the moves listed above, characters will be accompanied into battle by “Higgledies” – little sprite-like characters that provide support abilities, whether that be healing, buffs, or the occasional special attack. You’ll end up collecting quite a few of these through the adventure, and they can be developed and levelled up, effectively fulfilling the “monster collection” role that the monsters of the previous game did. Moving them to a support role and making combat mostly about the heroes gives the game a much needed sense of agency, and that helps make battles feel like less of a grind. The difficulty curve is gentle. Almost too gentle. Generally each new chapter brings you to a new part of the world where, initially, even common enemies will be of a higher level. However, a couple of battles later, you’ll generally be properly levelled, and with the help of the Higgledies and decent AI for the heroes that you’re not controlling in battle, even when you’re finding the going difficult yourself, your team will generally be propping the team up. Of course scattered through the world are super-difficult challenges and enemies to fight, but those are completely optional, as long as you don’t run from battles while moving your heroes from point A to point B, you shouldn’t feel the need to grind. Boss battles are the highlight, and even if they’re not always the most creative in terms of the tactics that they demand from you, they are consistently visually vibrant and interesting. Indeed, Ni No Kuni 2 is a strong contender for the most beautiful JRPG going at the moment. It’s not just in terms of the game’s ability to push hardware to its limits (though you can indeed play in 4K resolution if you so wish). It’s that every environment and colour is drenched in colour and full of detail. 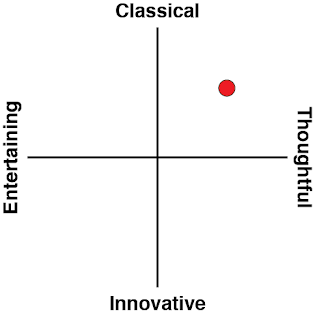 Each region in the world is distinct, and each region is fundamentally interesting to explore. Dungeons and cities give you an intimate behind-the-back perspective of a small part of the environment that they’re pulled from. The overworld map is epic in scope, and so filled with little treasures to discover, that you’ll be traipsing all over the place to try and find all the shinies. 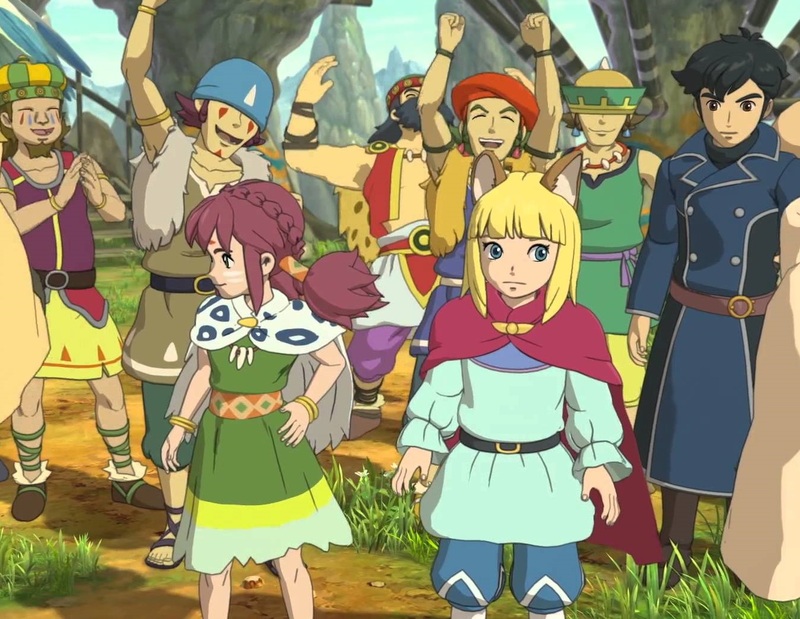 I didn’t quite love Ni No Kuni 2 quite as much as its predecessor, because I wasn’t quite as connected to it. The game’s choice of themes and approach to storytelling didn’t quite tap into the same emotions. But it is without a doubt a better game. With the addition of city building and strategy battle elements, Ni No Kuni 2 is a deeper and more varied experience than most JRPGs out there, and certainly among the most beautiful and artful games that you’ll ever see. We’re two (main) games in now, and on the strength and consistency of these two I think it’s safe to say that Ni No Kuni has every chance to become a major JRPG franchise that will last into the very long term.